Hi, I am using ROSInterface to streaming VisionSensor data to ROS. However, when I run the demo scene rosInterfaceTopicPublisherAndSubscriber.ttt from VREP official ROS tutorial, the image published to ros is upside down. I never change any code from the template. The passive vision sensor is having a normal display. 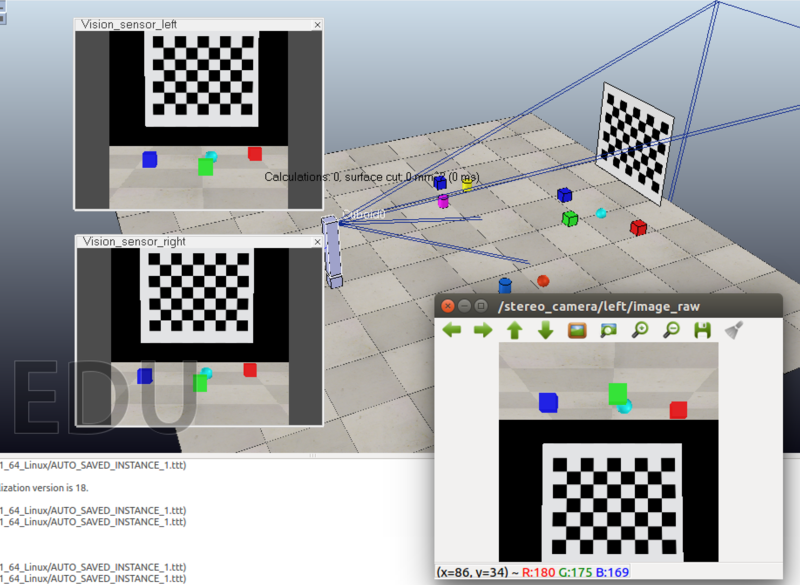 But the image_view and Rviz all shows upside down. Why is this happen? How to solve this problem? BTW, I saw a previous discussion to add a "flip image vertically" filter. But that will also flip the display in the VREP, which influence the simulation effect. The problem is similar in this ROS answer but I don't quite understand what they mean.